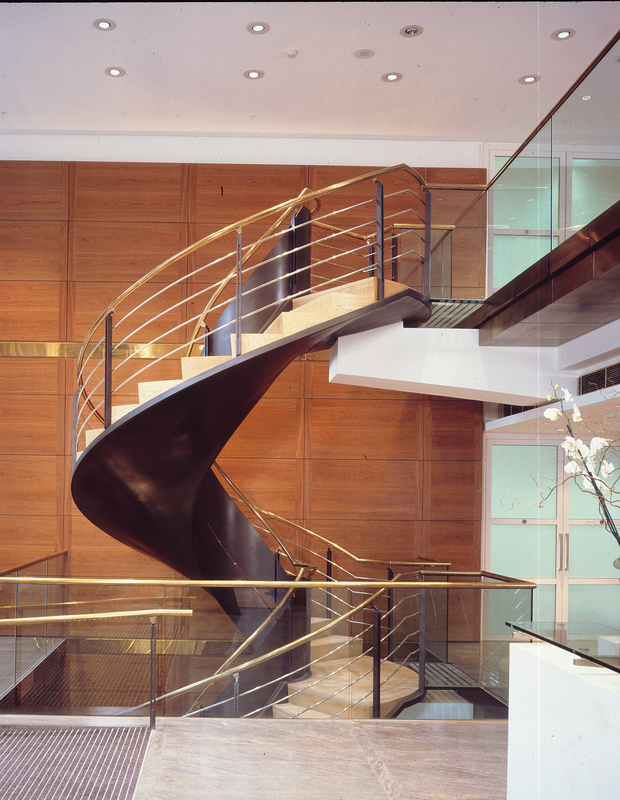 A helical stair with bronze tubular handrailing, stainless midrails and black uprights. 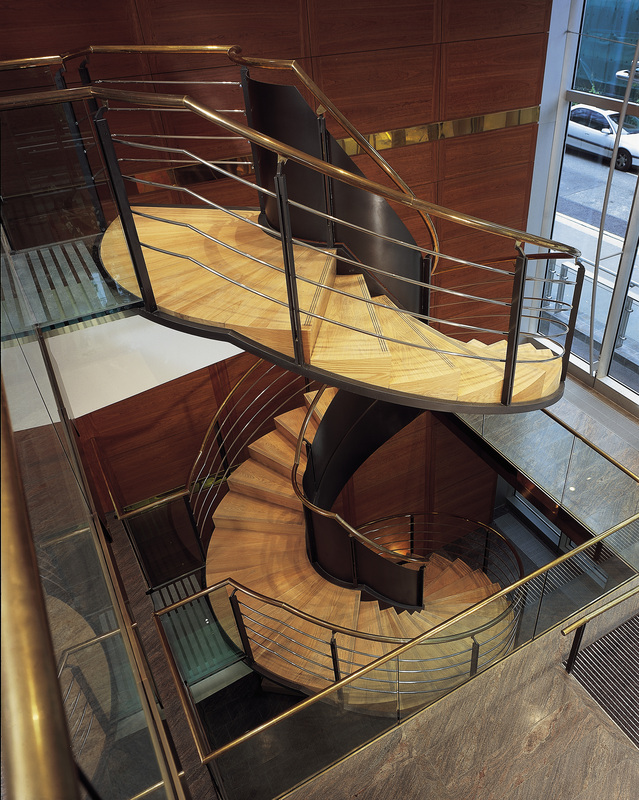 This stair was inspired by one that the architect saw at the Louvre museum in Paris. In this case the strength of the stair is a box that sits on the inside of the wooden cabinet style treads, the metal work here is a lot deeper than that at the outside edge.